Everyday after tedious work at the caregiving home where I work, I used to run home, turn on my computer and start playing video games or drop at the local shopping center where there were PS games played by the youths in the area. The games were so thrilling and soon enough I would forget how tired I was, how stressing the day was and just focus on winning the game. I was a fan of FIFA games and other than feeling excited for winning, there was the relaxation that came with having a chat with my fellow youths and discussing politics as we tried to beat each other in the video soccer game. I would have continued playing other mild games until I was introduced to Fortnite Battle Royale which was sweeping all online video game players by storm. The game can be played by one person, duo or even a squad of people which is what I liked doing. You are all dropped weaponless from a Battle Bus and you must scavenge for weapons, go ahead and fight your opponents while trying as much as possible to stay alive. Luckily, I did not have to pay for the game as I stumbled on a fortnite hacks website which shows you how to play it free of charge. Fortnite helped me with endurance, creativity and on problem solving skills. It also makes one feel powerful when you win over your opponents. Improves problem solving skills: Every video game has its own set of rules and as the gamer you want to think of solving the problem at hand while at the same time obeying the set rules. When playing video games, you need to be very attentive so as not to miss even the least of details. Improves multi-tasking: When you play video games, it sharpens your ability to do more than one task at the same time. 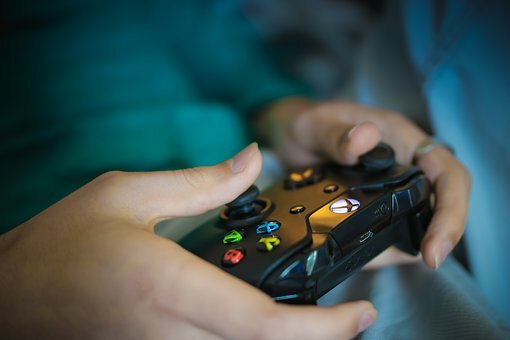 Video games can be addictive and young people should be wary of this. Playing video games in the dead of the night can be harmful to your eyes since the screens produce a blue light which makes your eyes tired in the long run. Playing video games alone for too long might kill your social skills and I therefore recommend playing the game with others.